With Fernando’s Kitchen, my band, I play the rumba about 80% of the time!! 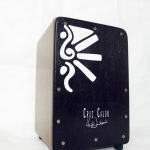 It is an essential rhythm to learn on the cajon, and the world of rumba is vast and big!! The rumba is probably one of the oldest rhythms to be used on the cajon, and goes hand in hand with the development of the cajon. This is only the foundation to get you started but there is so many things one can do with the rumba, it’s really amazing! Hope you like this lesson, feel free to leave some comments below, more about the rumba coming soon! I am putting together a cancer fighter fundraiser in May 2014. 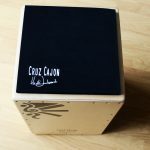 I am looking for someone who is willing to donate their time and knows how to play the cajon. I recruited several solo artists + a choir. Let me know if you are insterested? Hello Heidi, nice playing. I’ve played a doumbek/darbuka the last 7 years and occasionally see it in Flamenco music. The rhumba rhythm is also called malfuf in Arabic and is usually a 2/4. I’ve also heard it called a broken clave. My wife has decided to learn flamenco dancing so I’m looking to add a canon to my percussion repertoire. Excellent site. By the way! Be well. Yes you are right, the table playing is very much the beginning of cajon playing!!! 🙂 I love gitanos!!! And fiestas too!!! Invite me and I will be happy to join one day! 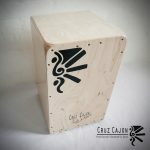 I started classes Cajon here in Montreal Canada, one of the best school of percussion, I discovered the Cajon and decided to make my favorite instrument. Except that one lesson per two weeks is far too little for me. I discovered your site and your lessons and I literally fall in love with Fernando kitchen, … every night I spend 30 minutes to one hour or until all the ryhtmes you teach are engraved in my body. Finally all that to say, thank you for the lessons, I hope to see and hear Fernando’s Kitchen in Canada or on my next trip to London. Thanks for the comment! Good that you are practising 30min at least each day, you will improve immensely if you stay faithful to daily practise, even if it’s 15 min, just keep it constant!!! And than you for the very nice msg of thank you!!! 🙂 Preciate it muchisimo! See you soon in Canada or London!